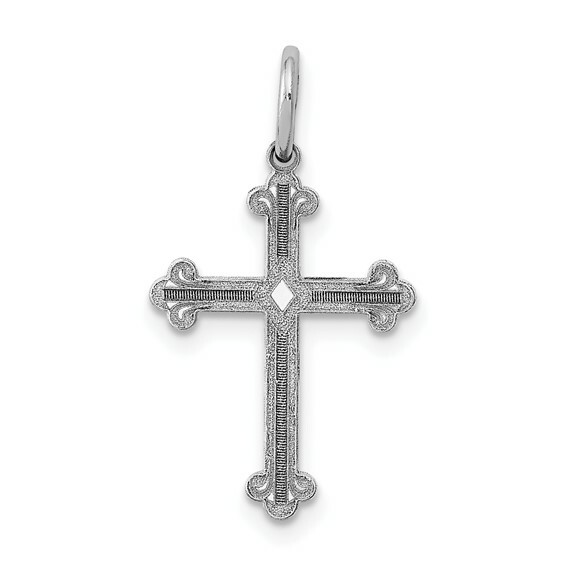 This small laser etched fleur de lis cross pendant is made of 14k white gold. This item is slightly smaller than a dime. Weight: 0.54 grams. Item measures 15/32 inch wide by 5/8 inch tall without loop and bail.